What can possibly be revealed about James Marshall Hendrix that hasn’t already been articulated? Electrified innovator. Arguably the greatest axe slinger of all time. A guitar god gone too soon. An indelible legacy that will live forever. But even the most exalted of rock icons needs a fresh coat of paint, and this spring Jimi gets one thanks to an all-star tour of retro rockers and new-schooled six-string heroes. Appearing: Thursday, March 18th at Chicago Theatre in Chicago. Enter Experience Hendrix, the biennial, multi-act bill that turns four this year, channeling its namesake’s genius through a marathon evening of individual snippet sets, one-of-a-kind collaborations, and an almighty jam session or two just to amplify the subject’s superiority. And we’re not just talking some questionable cover band, but a laundry list of remarkably authentic disciples, including Joe Satriani, Jonny Lang, Hubert Sumlin, Eric Johnson, Kenny Wayne Shepherd, Aerosmith’s Brad Whitford, Doyle Bramhall II, the Isley Brothers’ Ernie Isley, Living Colour, Double Trouble’s Chris Layton, Sacred Steel featuring Robert Randolph, Susan Tedeschi, Los Lobos’ David Hidalgo and Cesar Rosas, plus The Jimi Hendrix Experience and Band Of Gypsys’ Billy Cox. Another major player in the mutual admiration society is 28-year-old Lang, who, despite his relative youth, has performed with The Rolling Stones, B.B. King, Buddy Guy, and Aerosmith. Even with all those highlights, he cites the Hendrix tour as the ultimate destination for his technical prowess and unmistakable charisma. While the majority of the artists were too young to ever collaborate with Hendrix or even meet him personally, Ernie Isley didn’t just know the man behind the music, but they lived in the same house from 1963 to ’65, just prior to finding global fame. While it’s common knowledge to faithful fans, a lot of casual listeners might not realize Hendrix played guitar on tour for the Isleys during that time frame. After his jaunt with the Isley Brothers and several other short-lived stints ended, a move to London resulted in the formation of The Jimi Hendrix Experience and also allowed the leader to be consumed by a rock ‘n’ roll explosion. Besides meeting members of The Rolling Stones, The Who, and Cream, Hendrix also basked in the blues scene. In fact, 78-year-old guitarist Hubert Sumlin, best known for his tenure with Howlin’ Wolf’s band, can testify to that greatness firsthand, thanks to multiple impromptu performances. An understatement, but a foreshadowing nonetheless as Hendrix quickly conquered the European market, later crossing over Stateside thanks to iconic appearances at 1967’s Monterey Pop, 1969’s Woodstock, and 1970’s Isle Of Wight festivals. Throughout, The Jimi Hendrix Experience cranked out Are You Experienced? 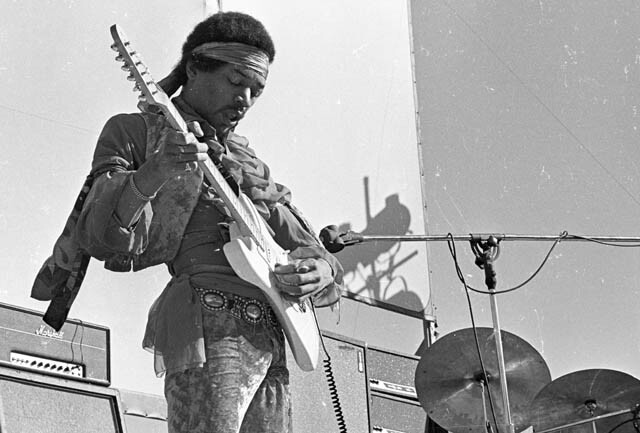 (“Purple Haze,” “Hey Joe,” “The Wind Cries Mary”), Axis: Bold As Love (“Little Wing,” “Castles Made Of Sand,” “Wait Until Tomorrow”), Electric Ladyland (“All Along The Watchtower,” “Gypsy Eyes,” “Have You Ever Been To Electric Ladyland”), and, later, the eponymous Band Of Gypsys live album. 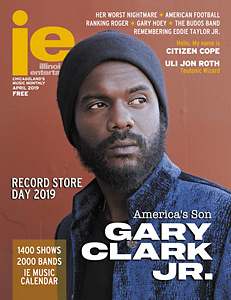 For more with Experience Hendrix artists, grab the March issue free throughout Chicagoland. The difference between Jimi Hendrix and everyone else (excluding the way he could bend a note) he made the guitar sing. He sang and his guitar sang with him. He expressed a feeling and the guitar expressed that feeling. My fellow Hendrix freaks can all sing the notes played on the guitar note for note. Like Muhammed Ali, Hendrix is the G.O.A.T (greates of all time).